On April 16th and 17th, 2013, Datacomp Sp. 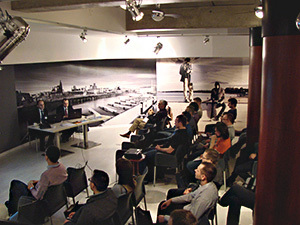 z o.o., GRAITEC’s authorized reseller from Krakow, Poland organized GRAITEC Advance user meetings in Gdansk and Warsaw. The growing interest in GRAITEC Advance solutions was confirmed by the high attendance at both meetings, in which a total of 65 people participated. It was a great opportunity to get to know the GRAITEC Advance suite and exchange experiences between users. The meeting began with the general presentation of Datacomp and Graitec, as well as media partners who acquired their patronage of these events. After a brief introduction to the Graitec Advance package, the first block of presentations began, during which new features of 2013 versions of Advance Concrete, Advance Design and Advance Steel were discussed. This section was concluded by showing selected users’ projects done in the Graitec Advance suite from Poland and across the world. The last part of the meeting was opened with the presentation of GRAITEC BIM, during which the methods of exchanging data between the Graitec Advance suite and other software brand such as Revit®, ArchiCAD®, Robot (ARSA®), PDMS® were demonstrated. 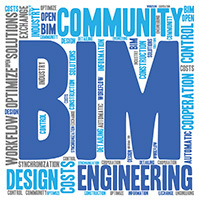 In addition, participants gained insight into the correct use of the BIM technology and its benefits. Another highlight of the event was the first presentation of Advance CAD, the latest software in the Graitec Advance package. Advance CAD is a program for simple flat drawing and 3D modeling functions according to the native DWG® format. The meeting ended with the announcement of an international competition for the best project done in GRAITEC Advance suite. User Club 2013 meetings in Poland have shown that Graitec is solid and reliable partner and choosing its solution for BIM design is the next step in developing and expanding your design office. 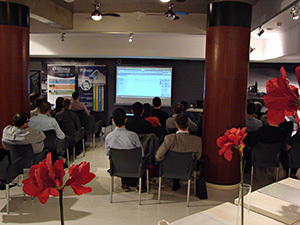 GRAITEC announces another successful Advance Steel User Day organised by its UK office. The event took place at one of the most prestigious locations in the Midlands – the Branston Golf and Country Club, Burton on Trent in Staffordshire. Carl Spalding, Managing Director of Graitec UK, opened the event by presenting an overview of the global business and concentrating on the expansion and growth locally in the United Kingdom. With GRAITEC UK and GRAITEC HQ staff in attendance, the day provided an excellent opportunity to go through detailed demonstrations of the major enhancements the new Advance Steel 2013 release has to offer, all the while re-covering some of the enhancements of previous versions. The project winners of the Advance Steel 2012 UK User Competition were also announced and presented with their awards whilst other impressive projects completed by number of other clients using Advance Steel were also reviewed. The day provided an opportunity to talk about the continued expansion of Graitec UK with the opening of their new office and training facility in Staffordshire, and also Graitec UK’s exciting plans for the future. The User Day was a big success, with more than 30 attendees battling with snowy conditions to be there! Feedback from the event was extremely positive with everyone looking forward to attending the next UK User Day. 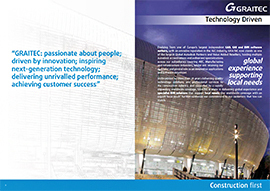 Theme: What’s New in Advance Steel 2013!! Don’t forget to book your free place! To celebrate our expansion, this year we are holding our 2013 Advance Steel User Day at one of the most prestigious locations in the Midlands – the Branston Golf and Country Club, Burton on Trent in Staffordshire. Don’t miss this opportunity to see what’s coming in the next version – register to attend now! It’s time to show off your work again and be in with a chance of winning some fantastic prizes! We know you have produced some excellent, interesting, every-day and some extremely complex projects of all types and sizes using Advance Steel. This is a unique opportunity to show off your work and gain fantastic worldwide PR exposure for your designs, absolutely free! Enter your projects now! Hurry…..the deadline for submissions is Friday 18th January and winners will be announced at the User Day. We look forward to showing you what’s in Advance Steel 2013, receiving your projects and seeing you at what promises to be a great User Day! Our reseller ARKISOFT organized in August 2012 different roadshows to promote Advance Steel in the capitals of 10 different states of Brazil. The events were met a great success with a total of more than 400 participants (e.g. 100 participants in Natal, 80 participants in Salvador, and also many interested ones in the cities of Vitoria, Fortaleza, Cuiaba, Campo Grande, Goiania, São Luis, Curitiba and Palmas). All these seminars were supported by CREA (Conselho Federal de Engenharia, Arquitectura e Agronomia, which means Regional Council of Engineering and Agronomy) and took place in the auditorium of the CREA local offices. The audience was very impressed with the capabilities of Advance Steel for its automatic detailing to get high-quality drawings together with the easy-of-use and possibility to get all documents automatically updated in case of modifications in the 3D model. ARKISOFT will organize other Advance Steel road-shows in October 2012 in different cities of the São Paulo state.